If you’d like to suggest that No Starch Press attend an event, or to explore sponsorship opportunities, please get in touch via [email protected]. Curious to browse our books, meet the No Starch Press staff? No Starch Press is also proud to offer sponsorship for these events! Attending Conferences - See You There! The Frankfurt Book Fair is a meeting place for the industry’s experts and the most important marketplace for books, media, rights and licences worldwide. Be they publishers, booksellers, agents, film producers or authors - each year in October, they all come together and create something new. DerbyCon is Louisville's INFOSEC Conference. BrickCon is an annual Convention put on by Adult LEGO® Hobbyists. Join us at DEF CON 26, one of the oldest continuously running hacker conventions around, and also one of the largest. Join us at The Circle of HOPE in New York City. H.O.P.E. stands for Hackers On Planet Earth, one of the most creative and diverse hacker events in the world. It's been happening since 1994. Join us at Bricks By The Bay, an annual gathering of LEGO® builders, enthusiasts and fans! 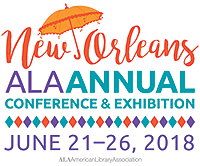 ALA Annual is the World's #1 Library Event of the Year! The 2018 edition of BookExpo will be the first end-to-end business solution for the global publishing industry. PyCon is the largest annual gathering for the community using and developing the open-source Python programming language. It is produced and underwritten by the Python Software Foundation, the 501(c)(3) nonprofit organization dedicated to advancing and promoting Python. Through PyCon, the PSF advances its mission of growing the international community of Python programmers. The London Book Fair is the global marketplace for rights negotiation and the sale and distribution of content across print, audio, TV, film and digital channels. This year, the Fair will take place in April at Olympia, West London, covering all aspects of the publishing industry. SCALE 16X - the 16th annual Southern California Linux Expo - is the largest community-run open-source and free software conference in North America. It is held annually in the greater Los Angeles area. Other Events We're Proud to Support! 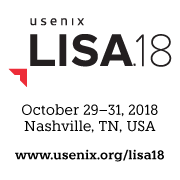 LISA18, a USENIX conference, is the premier event for operations professionals, where sysadmins, systems engineers, SRE practitioners, developers, IT managers, and academic researchers share real-world knowledge about designing, building, securing, and maintaining the critical systems of our interconnected world. 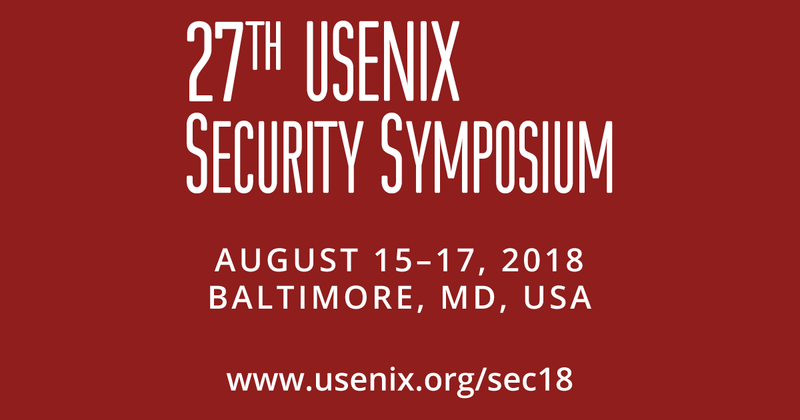 USENIX Security '18 brings together researchers, practitioners, system administrators, system programmers, and others interested in the latest advances in the security and privacy of computer systems and networks. BSidesKC is a non-profit educational organization designed to advance the body of Information Security knowledge, by providing an annual, open forum for discussion and debate for security engineers and their affiliates. We produce a conference that is a source of education, collaboration, and continued conversation for information technologists and those associated with this field. BSides San Francisco is a non-profit organization designed to advance the body of Information Security knowledge, by providing an annual, two day, open forum for discussion and debate for security engineers and their affiliates. We produce a conference that is a source of education, collaboration, and continued conversation for information technologists and those associated with this field. BSides Nashville is a 100% volunteer run and organized conference. We learn, teach, experience, befriend and reconnect in a comfortable environment. Whether you’re a Blue teamer, Red Teamer or a Green newbie, all are welcome and we have a place for you. This is the neutral ground between Developers, Sysadmins, Security practitioners, DBAs and even CISSPs! BSides Iowa was founded in 2012 by Ken Johnson and has held 3 events in Iowa. In 2016 tragically Ken passed in a car accident. Since that time a few active members in Iowa InfoSec/SecDSM have taken the reigns to continue the work that Ken started. CypherCon provides hackers with an outlet to openly demonstrate and experience creativity and ingenuity through hands-on enlightening activities and thought provoking presentations and technical projects. Come listen to over a dozen security speakers, learn at our mind-blowing, but approachable villages (specializations), and relax with friends in a casual environment. The 15th USENIX Symposium on Networked Systems Design and Implementation (NSDI '18) focuses on the design principles, implementation, and practical evaluation of networked and distributed systems. The symposium provides a high-quality, single-track forum for presenting results and discussing ideas that further the knowledge and understanding of the networked systems community as a whole, continue a significant research dialog, or push the architectural boundaries of network services. BSides Orlando will have workshops in ICS and SCADA, hands on demos with Software Defined Radios, hacker scavenger hunts, career building with resume review workshops, and a CTF 101 to help attendees learn how to compete in CTFs. SREcon18 Americas is a gathering of engineers who care deeply about engineering resilience, reliability, and performance into complex distributed systems, and the scalability of products, services, and infrastructure within their organizations. At its core, SRE is focused on intersectionality—creative engineering at the nexus of systems and software engineering. Oslo Freedom Forum is a transformative annual conference where the world’s most engaging human rights advocates, artists, tech entrepreneurs, and world leaders meet to share their stories and brainstorm ways to expand freedom and unleash human potential across the globe. PRCCDC (Pacific Rim Collegiate Cyber Defense Competition 2018) is a competition to prove one's expertise in cyber defense. BSides Chattanooga is an information security event in the Security BSides pattern where local information security professionals share content, build community, engage in conversations, and further their careers. CanSecWest the world's most advanced conference focusing on applied digital security, is about bringing the industry luminaries together in a relaxed environment which promotes collaboration and social networking. ELC is the premier vendor-neutral technical conference for companies and developers using Linux in embedded products.
! !Con (pronounced “bang bang con”) is two days of ten-minute talks (with lots of breaks, of course!) to celebrate the joyous, exciting, and surprising moments in computing. Join us for our fifth year in 2018! BSides Vancouver is a not-for-profit, independently run, community supported conference and part of the worldwide Security BSides movement. BSides Austin is a volunteer-run information security unconference. They are the largest yearly security conference in Texas. Their programming focuses on high-quality content, and their smaller, more intimate networking atmosphere fosters strong audience participation and overall group interaction. 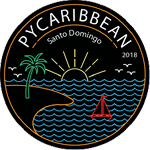 PyCaribbean is the first Python Conference of its kind on the region of the Caribbean. Our goal is to connect the North American and European Developer Community with the Hispanic and Caribbean community. BSides Tampa is an Information Technology security conference hosted by the Tampa Bay chapter of (ISC)2, a registered 501 (c)3 non-profit organization. The BSides Tampa conference focuses on providing attendees with the latest in information security research, development and exploits. The conference is hosted yearly in Tampa and features various presentations and demonstrations from the best minds in industry and academia. For over seven years, SWIFT has been running Tech Symposium, a conference dedicated to System Administration, Network Administration, and Security. Tech Symposium is a student-run event that allows students and professionals to collaborate through interactive and informative presentations and workshops. FAST '18 is The 16th USENIX Conference on File and Storage Technologies. The conference brings together storage-system researchers and practitioners to explore new directions in the design, implementation, evaluation, and deployment of storage systems. The Hackatour tour arrives in Guadalajara with the theme of "smart cities". The theme of this hackathon is smart cities -- that is, we seek to use technology to solve common problems in modern cities. PyTennessee is a regional Python conference dedicated to the advancement and promotion of the Python programming language and its users. The Technology Association of Iowa and HyperStream are proud to announce a new technology event for 2018 - Central Con! This event is for current middle school and high school students who want to learn how to protect the Internet through cybersecurity. No previous knowledge required. StarCon is a conference hosted by the University of Waterloo whose goal is to make Computer Science and its related technologies accessible to everyone, taking into consideration race, class, gender, ability, religion or sexual orientation, and intersections thereof, and to create a culture that fosters learning and community building through knowledge sharing among people from diverse backgrounds.